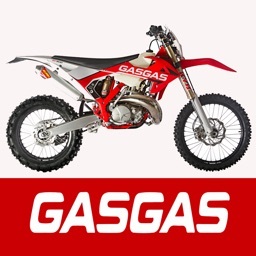 This app will help you configure the carb of your 2-strokes Yamaha YZ bike (YZ 65, YZ 80, YZ 85, YZ 125, YZ 250) to improve its performance. 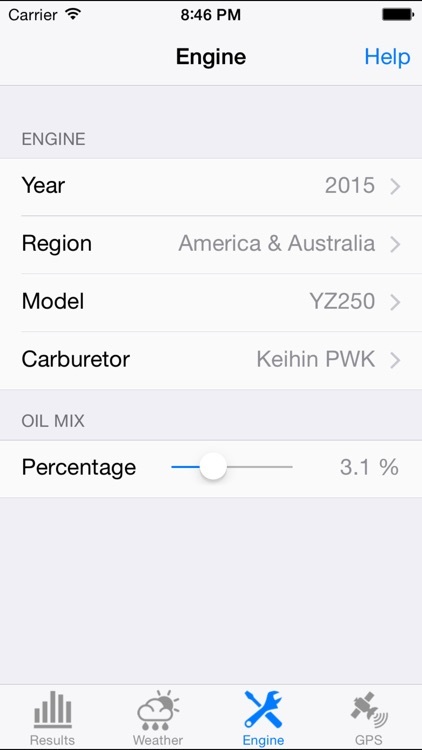 Using temperature, altitude, humidity, atmospheric pressure and oil-mix ratio, the app will show you a recommendation about jetting to your specific bike, so it can be useful to get a spot-on configuration and adapt it to the weather changes. 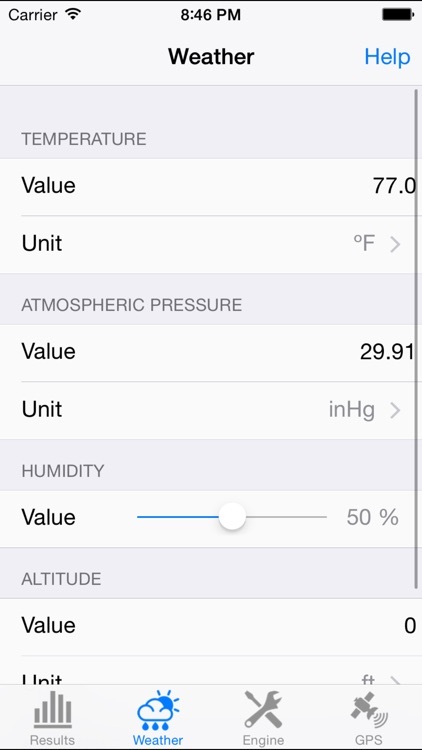 In order to get the weather values, the application can use the GPS to obtain the position and altitude, and the network connection to get the temperature, pressure and humidity from the nearest weather station. 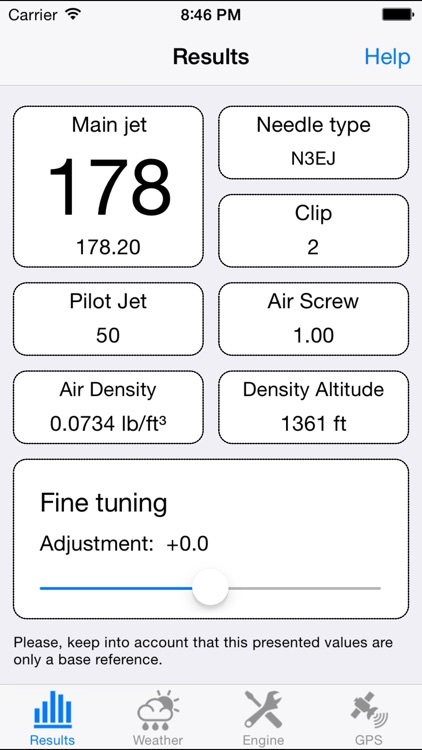 Nevertheless, the application can run without GPS and internet connection, in this case, the user has to give the altitude and weather data. - Results: in this tab, the recommended main jet, needle type and clip position, pilot jet and air screw position are shown. 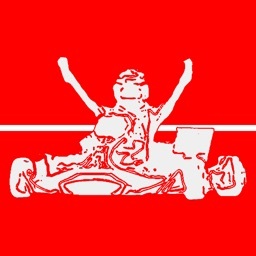 These data are calculated depending on the weather conditions and the engine configuration introduced in the next tabs. In addition, this tab lets to make a fine tuning adjustment to adapt to a concrete engine. 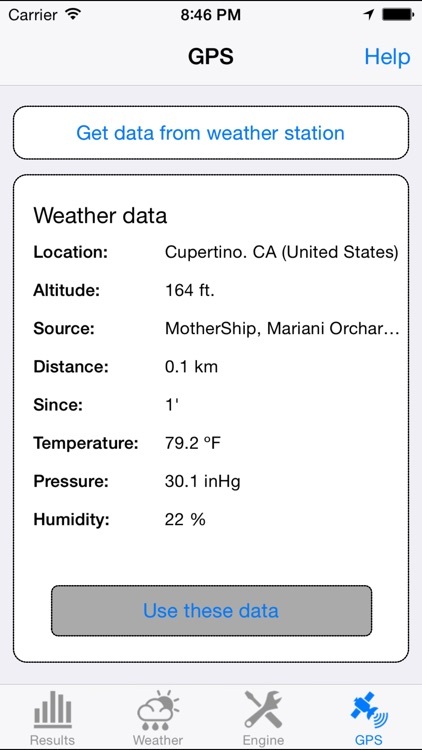 - Weather: you can set the values for current temperature, altitude, pressure and humidity. The values of this screen can be manually set or can be loaded by the application reading the data from the nearest weather station (from the GPS tab). 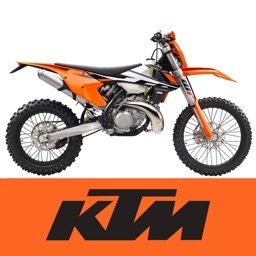 - Engine: you must set in this screen the information about the engine, that is, the year, region, model and carburetor, and the oil mix ratio that you're using. - GPS: this tab allows to use the GPS to get the current position and altitude, and connect to an external service to get the weather conditions of the nearest weather station (temperature, pressure and humidity). The application can manage different measure units: meters and feet for altitude, ºC and ºF for temperatures, mb, hPa, inHg, mmHg for pressure. 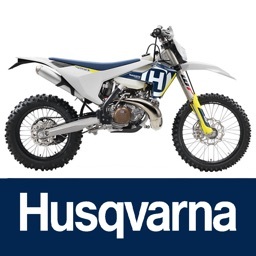 - YZ65 from 2018 to 2019. - YZ80 / YZ85 from 1995 to 2019. 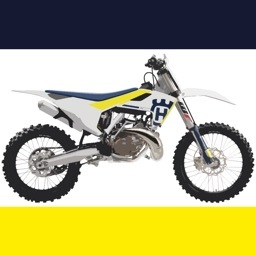 - YZ125 from 1995 to 2019. 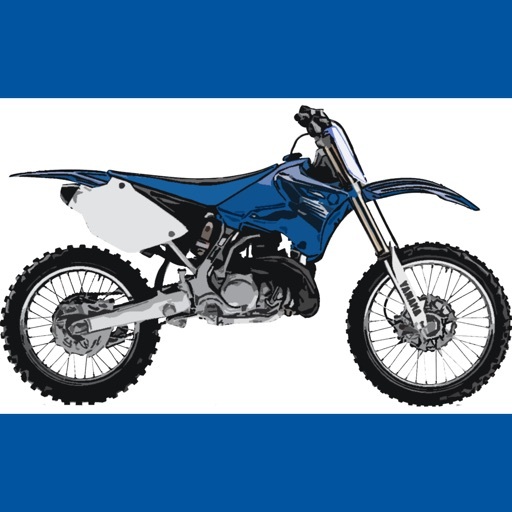 - YZ250 from 1995 to 2018.